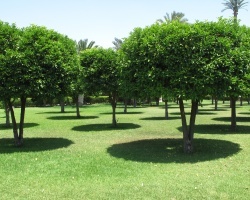 What do you plant trees for? 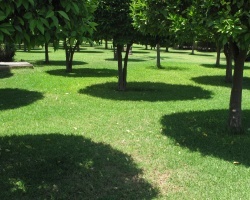 What if we were to marry all these reasons together? 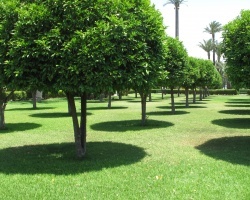 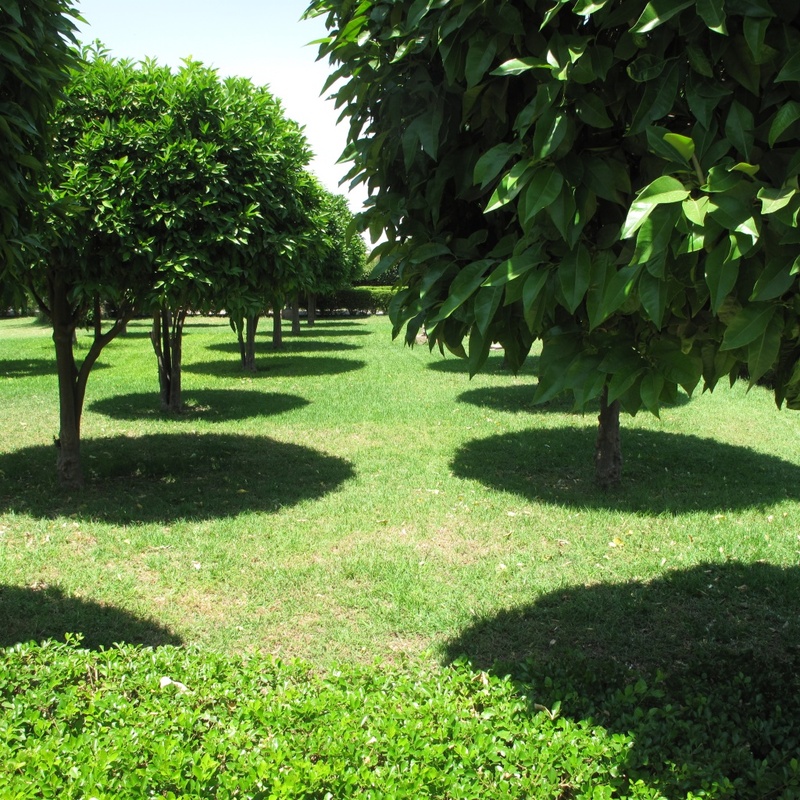 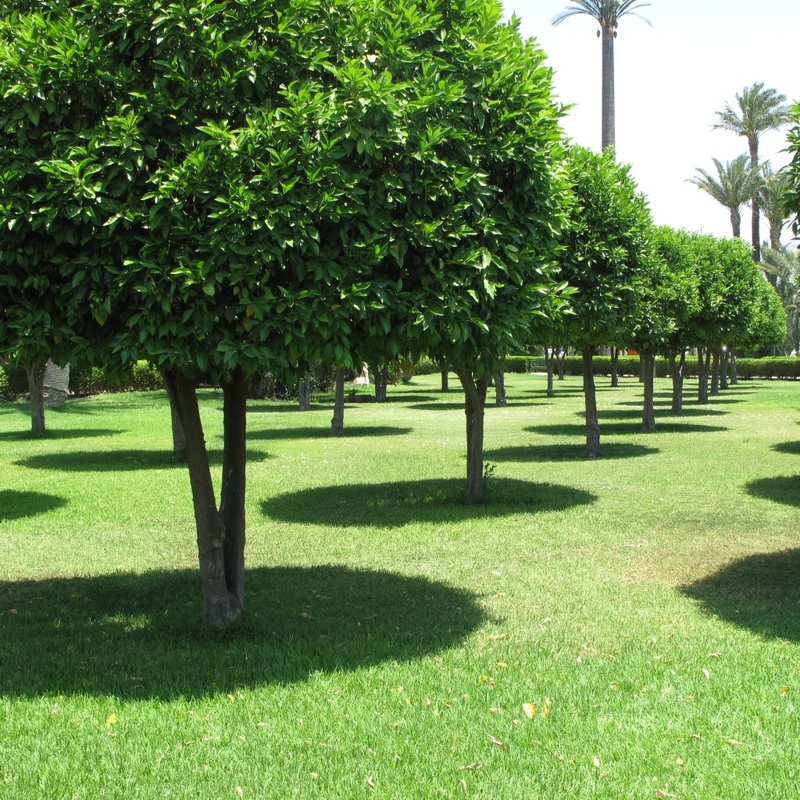 You select useful trees, that are also a beautiful, and are planted according to such a geometry that they look even better in large quantities, and their shadows create sharp geometries that make the whole even more enjoyable. 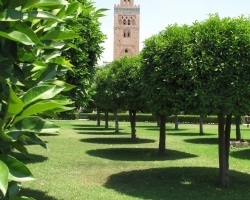 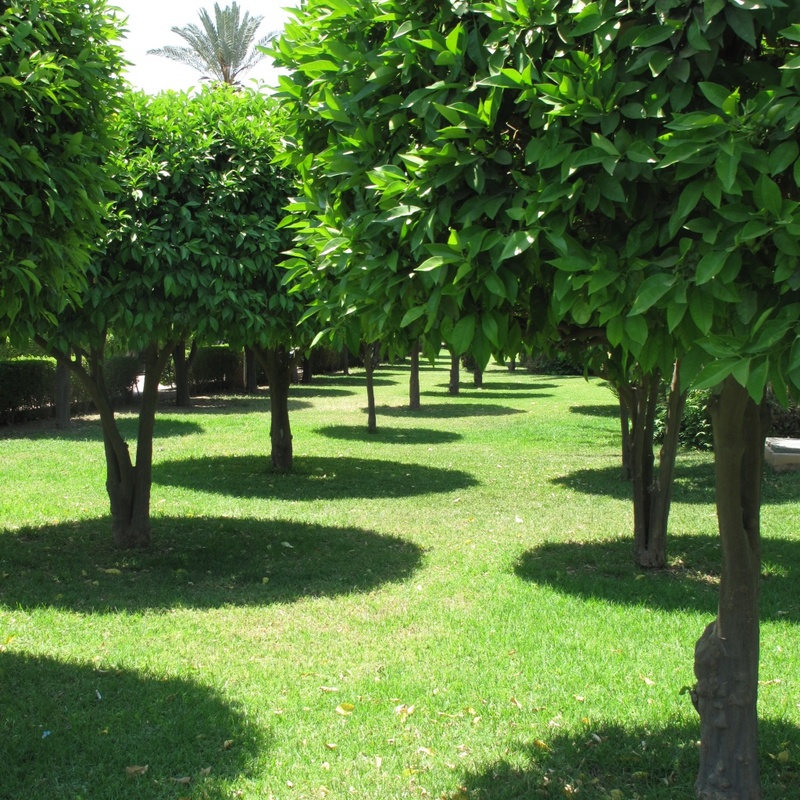 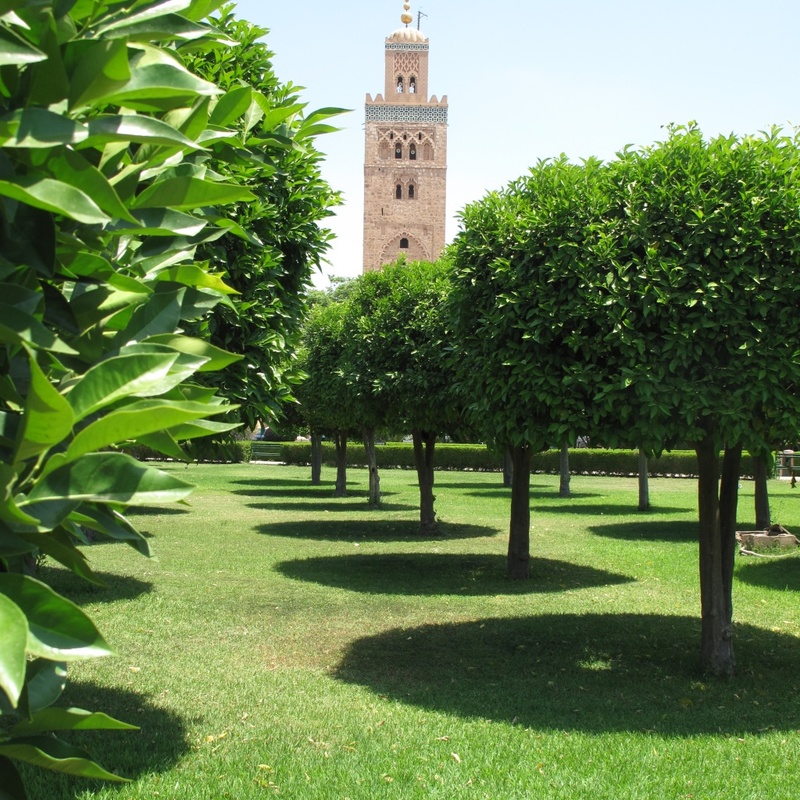 That is what I aimed for when a client, who bought an estate in Marrakech’s Palmeraie, challenged my advice on how to design an arboretum that looks strikingly innovative while using only elements part of the local tradition. 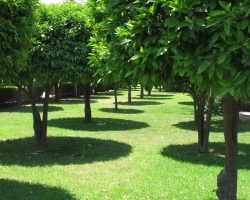 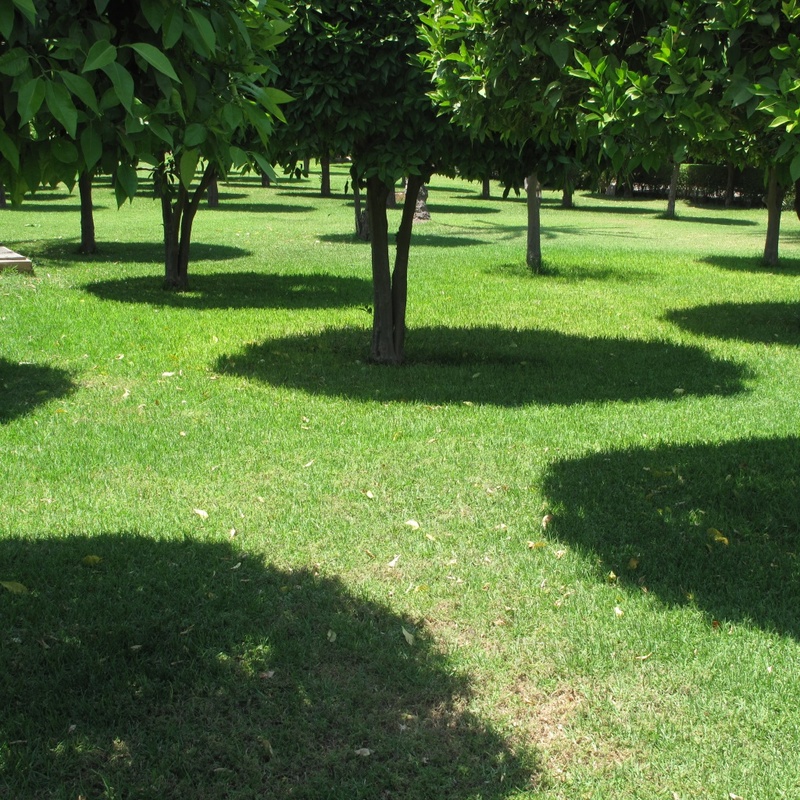 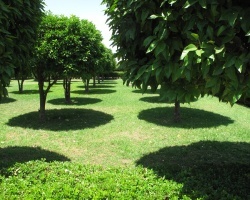 The result is a sort of botanical Vasarely composition, with a constant play between the tree volumes and their shadows. 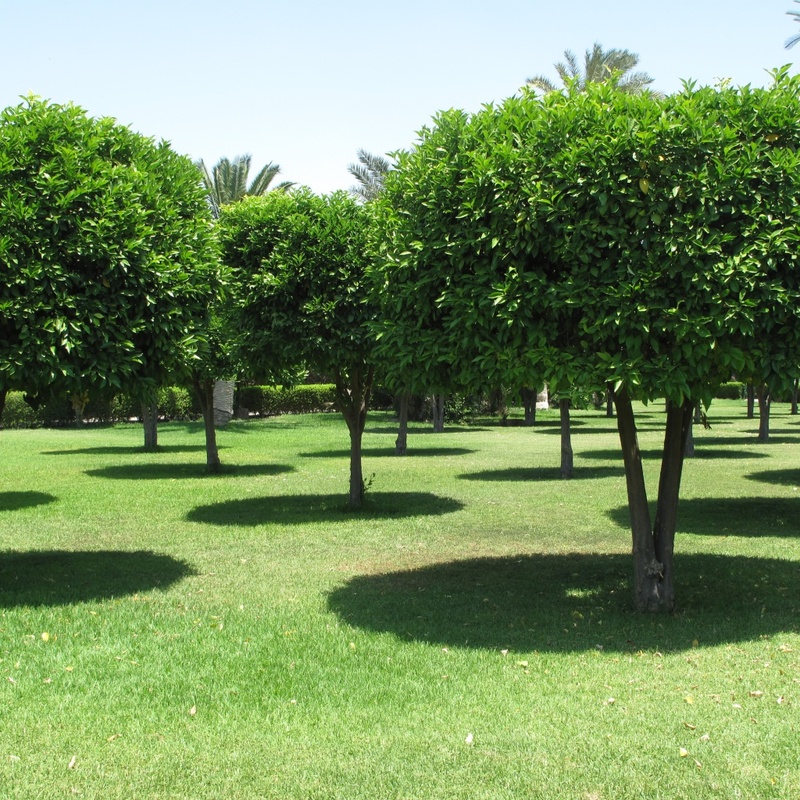 It would have been stimulating to go further in experimenting with topiary art, by adding more diverse geometrical shapes.